There are very few moments in a person’s life that can be considered as personal or as intimate as his/her wedding day and therefore, it only makes sense to make that day as memorable and personal as he/she possibly can. So, without any further ado, here are a couple of ways in which you can personalize your wedding day, even more so than usual. Make the diners feel welcome by putting up personalized photos which could also double as placards that indicate who should sit where exactly. This gives much more of an intimate feel to the diners and makes them feel more at home. 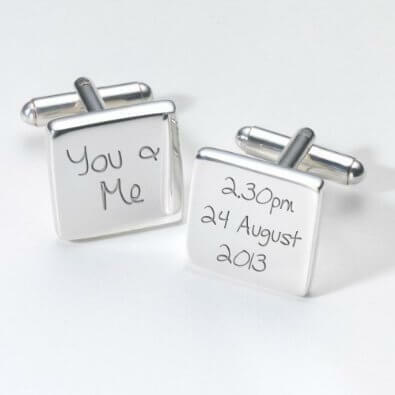 Cufflinks are one of those things that is essential for any suit, especially if it’s your wedding day. So, since you’re going to wear one, why not take that opportunity to personalize it and profess your commitment at the same time? 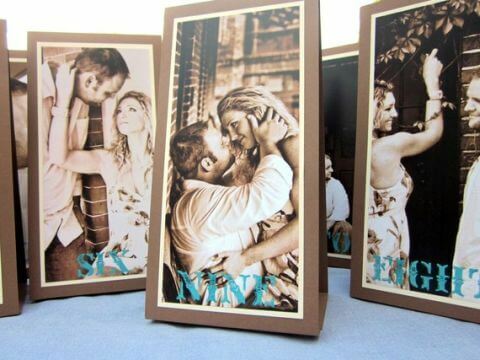 Generally, thank you gifts tend to be drab and droll but by personalizing them (Having photos of you with your spouse on the various items, your names imprinted on gifts such as hand fans as shown above etc), you can make the guests feel welcomed, important and also, make sure that your wedding was memorable to them. 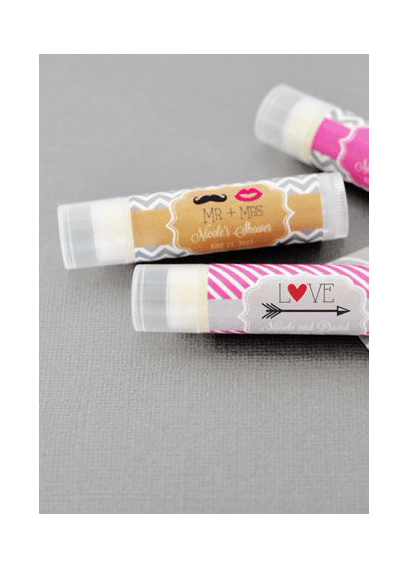 If you still not satisfied with this idea for thank you gift, you should head over to return gift ideas. 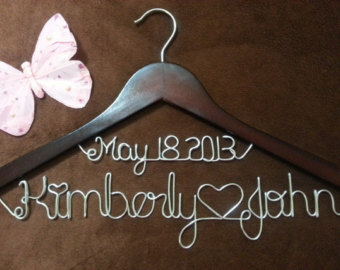 This is more or less a personal preference but wouldn’t it be cool to have a wedding hanger like the one shown in the picture above, which you can use to hang up your wedding dress. Also, seeing as most people don’t tend to wear their wedding dress more than once, it can also serve as a sweet reminder of your big day in the coming years. Wearing your spouses name around your wrist is perhaps, one of the most touching and intimate ways that can make your love known. Embed your bangles with studs/ precious stones to design your special one’s name or even, for the more creatively minded, a portrait of sorts. 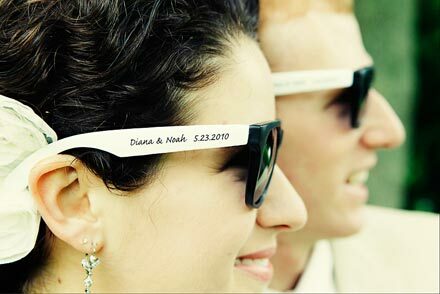 In case you’re having your wedding on a hot summer day or just any sunny day in general, beat the heat (to your eyes at least) with these really cool personalized shades that along with protecting your eyes, also serves the purpose of. 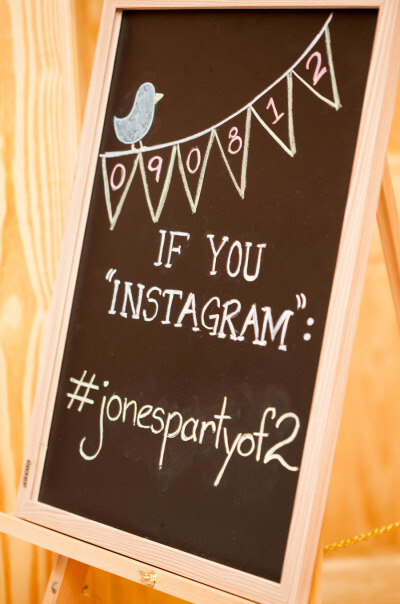 Given the day and age that we live in, if it’s popularizing your wedding that you want, Hashtags are the way to go! Create a catchy hashtag, share it on your various social media profiles and voila! Who knows? given enough traction, it might even start trending. First up is personalizing the bride and groom’s wedding attire .What I mean by personalizing is for example, stitching the bride’s name on the groom’s attire in a manner that’s both subtle and beautiful with it being applicable vice versa of course. 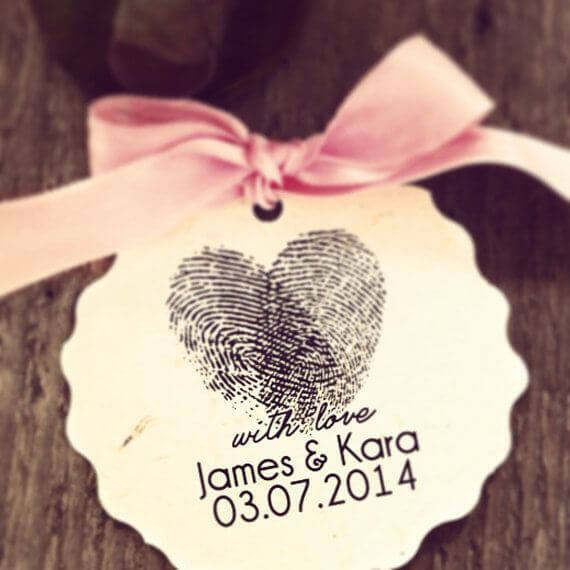 Yet another manner of personalizing wedding attire could be incorporating elements of something that the bride/groom may be passionate about into their designs. 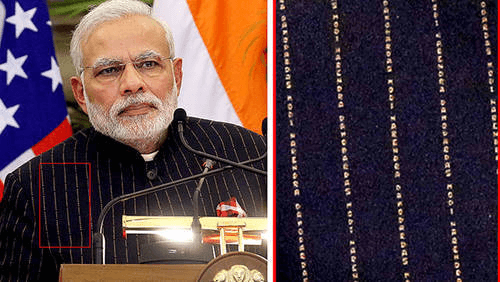 Hey, even our prime minister, Mr. Narendra Modi, on his recent visit to the United States, wore a personalized pin-stripe suit where, his own name acted as the pin-stripes themselves! If that doesn’t give you incentive to personalize, I don’t know what will. 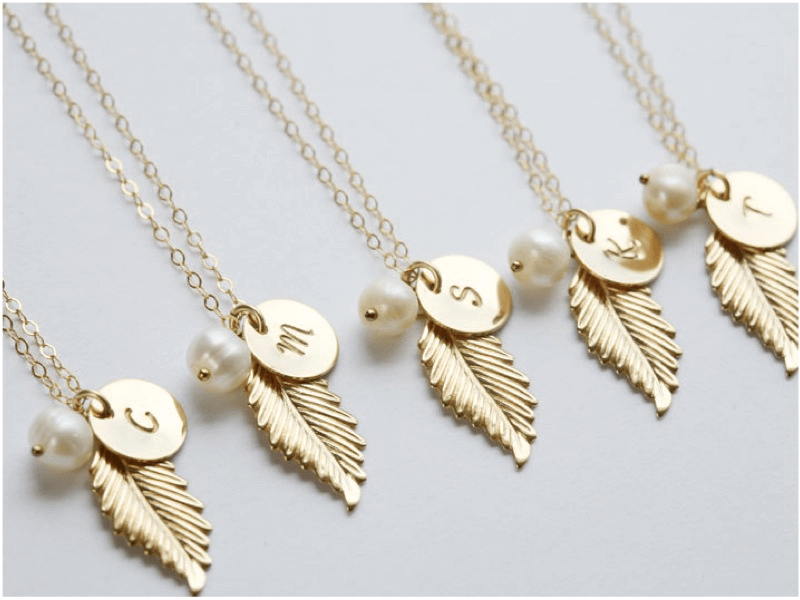 Personalized attire is of course, just the tip of the iceberg as we now come upon one of the best and arguably, the most important wedding related product to be personalized – Jewelry. 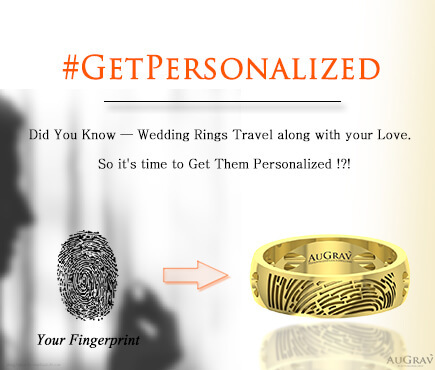 With a fresh, unique and a minimalistic approach to personalization, Augrav offers not only the classic name engraved rings but also a more personal take on the same concept by offering personalized wedding rings with the bride/groom’s fingerprints on them. 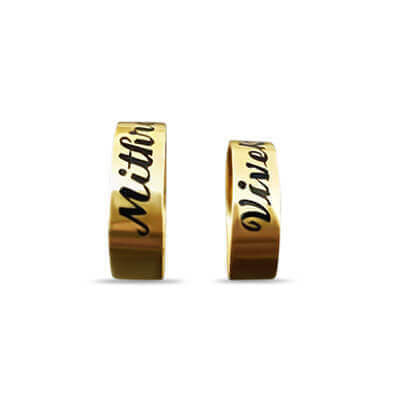 You can find more ideas to personalize wedding rings here. 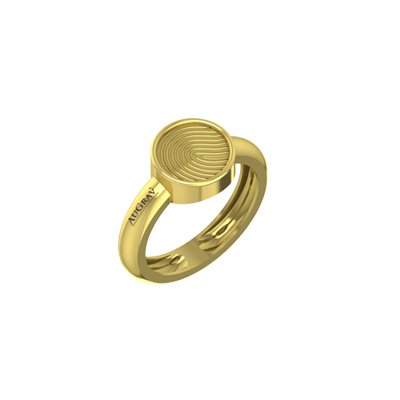 Gold ring with name engraved on top of it. Yet another unique but subtle way of personalizing your wedding lies in the small additions, like bindis and mehendi which is used for the bride. 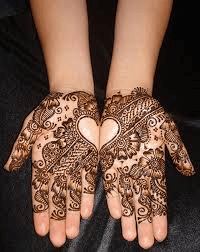 They can be made using designs inspired by things that the bride may be passionate about or even, for the creatively minded, use the groom’s name and base several bindi/mehendi designs upon it. Now, we come upon, perhaps the wedding formality that to some, is more important than the ceremony itself – The food. 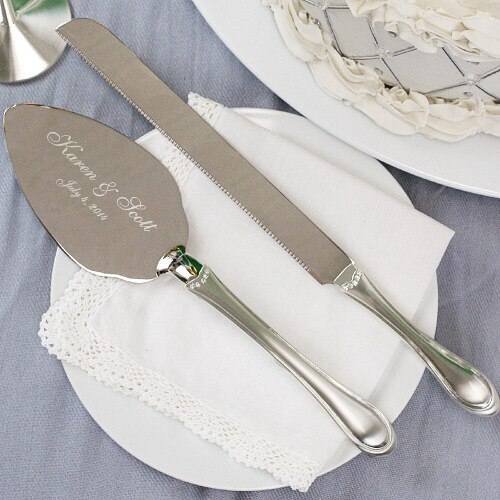 Now, jokes apart, there’s a lot of personalization that can be done using cutlery that the food is served in, such as name engraving and the like. The food arrangement can be done in such a fashion that it could also serve as a subtle nod to personal interests of either the bride/groom. The most personalizable (I don’t even know if that’s a word but for now, I guess I’m just going to roll with it) food in a wedding is of course, the wedding cake. 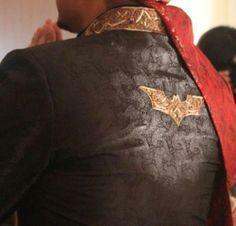 And finally, we come to perhaps, the most important aspect of all weddings – the venue. The greatest thing about wedding venues is the fact that given enough of a creative mindset and a decent budget, one can create wonders to an otherwise dull/drab wedding locale. Seating arrangements can be done in an innovative fashion, with perhaps in the form of various shapes, Decorations can be made to uphold a singular theme or even incorporate design elements based upon the passion of the bride/groom and so on and so forth. 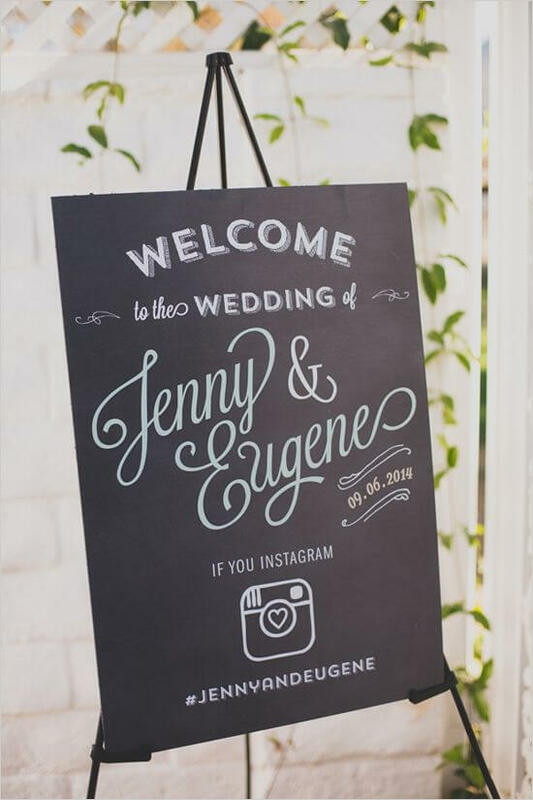 This type of innovation could extend even to the invitation cards that are given out to the guests, with innovative and catchy designs. The options are as limited as your imagination, which in turn is endless. 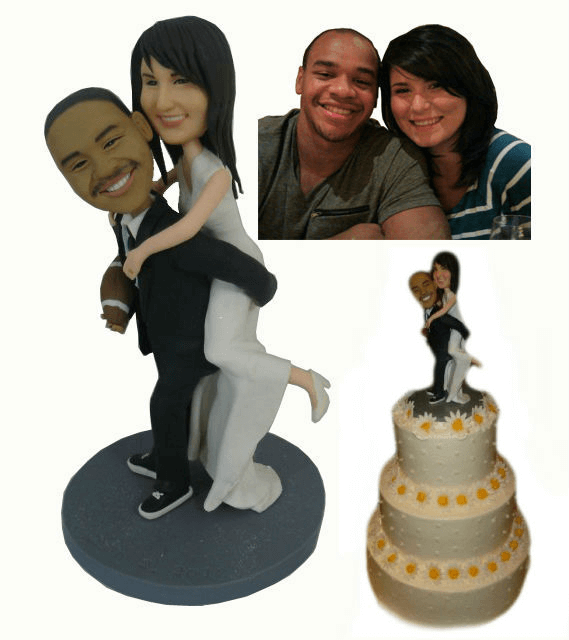 So, if you or your loved one is getting married, add a little bit of a personal touch to the proceedings through personalization. After all, marriage is the strengthening of a bond shared between two individuals and a little bit of personality can go a long way to ensuring that it stays on as an event to remember. 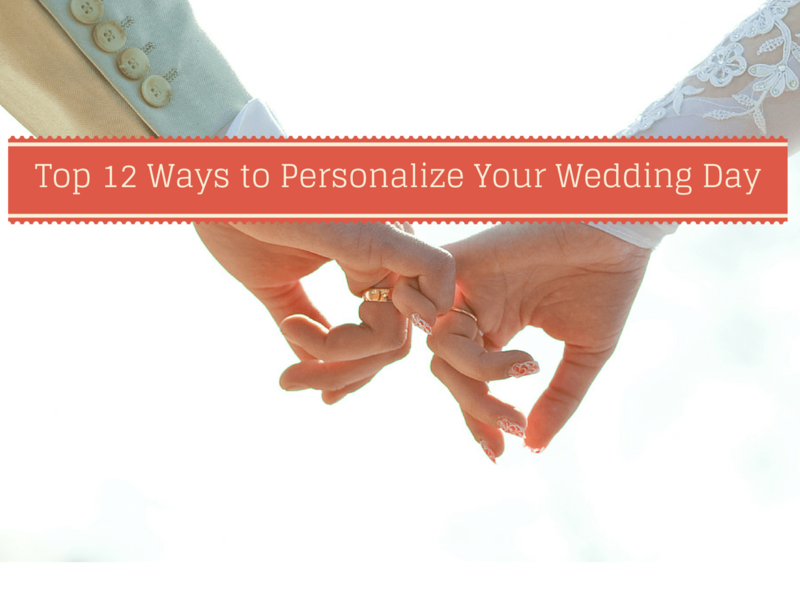 Top 12 Ways To Personalize Your Wedding Day Overall rating: 4.7 out of 5 based on 235 reviews.